NEW! Internet Popup Blocker & Privacy Protector. Block popups AND protect your privacy WHILE YOU SURF the internet. Includes US Department of Defense secure erasure for extra privacy! SenseGuard protects you from accidental clicks on your own Adsense publishers ads. It works by temporarily hiding all Adsense ads in your web browser. Outside users visiting your web site are not affected. Adsense is only hidden on your own PC. This effectively protects you from accidental clicks and unnecessary page-views on your Adsense ads. 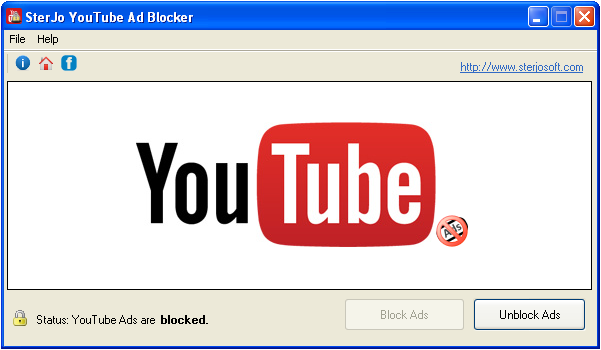 SterJo YoutTube Ad Blocker is very efficient tool for blocking annoying advertisements while playing youtube videos. This free ad blocker is compatible with any browser like Chrome, Mozilla, IE and etc. If you have ever wondered how to block youtube ads then you can't find more simpler way.